RV paddock camping is NOT OFFERED: DETAILS. TracQuest format: only 3 run groups; Novice, Intermediate, Advanced. limited enrollment, about 3 hours daily track time to each group. Bring your own food, the track-side cafe will be CLOSED. Always bring a supply of DRINKING WATER! Convertibles may be driven in OE configuration. No modification needed. There is obvious additional risk to use a convertible, and an additional waiver is applicable. Co-drivers are welcome, sharing a car in the same run group. Please note: 2 drivers in 2 different run groups requires 2 primary registrations. A 2nd driver can be added to any primary registration for an additional $95. 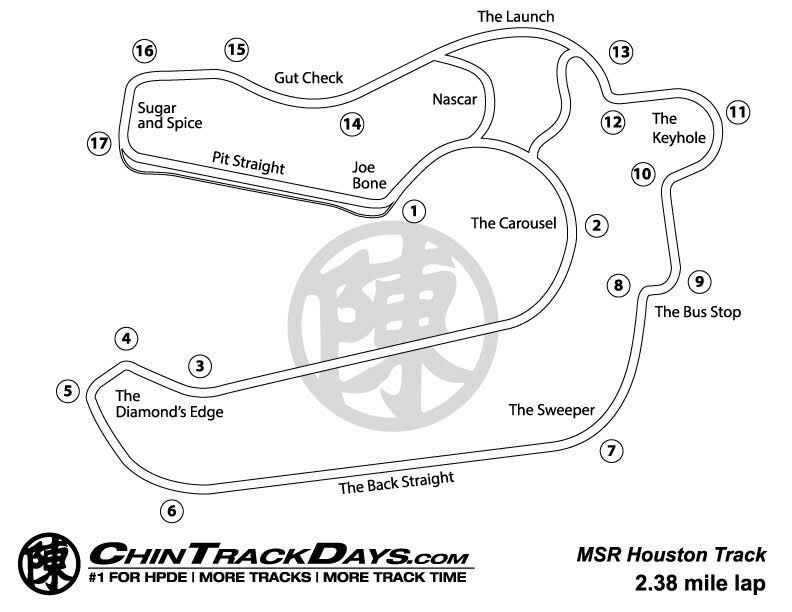 Like all drivers, a co-driver must have current membership in Chin Track Days. Like most track time car clubs, Chin Track Days has an annual membership. A driver must have first have a member account and password to complete registration. © 2001-2016 Chin Track Days, Inc. All Rights Reserved.